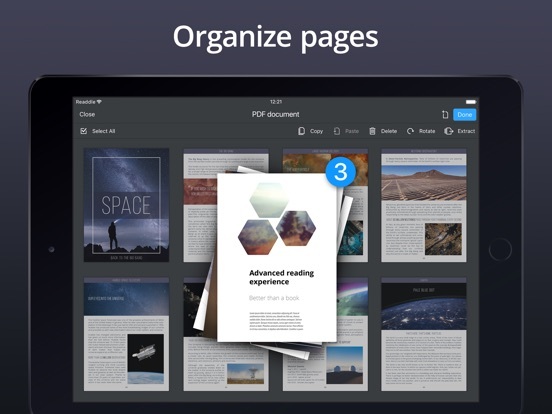 PDF Expert 6 is an essential app for anyone who reads, highlights, signs and fills out PDFs on their iPhone and iPad. 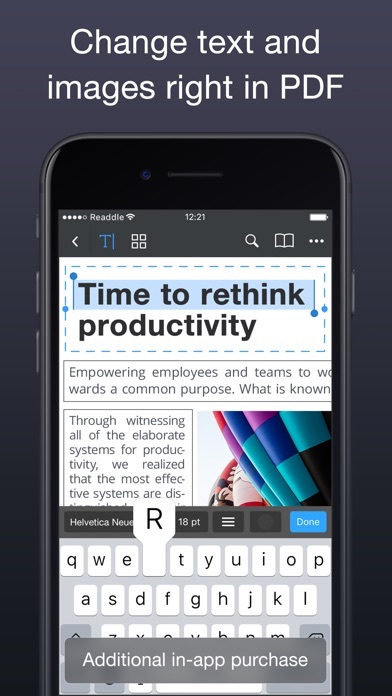 With an additional in-app purchase PDF Expert 6 acquires the unique superpower to edit existing PDF text, replace images and hide sensitive data. 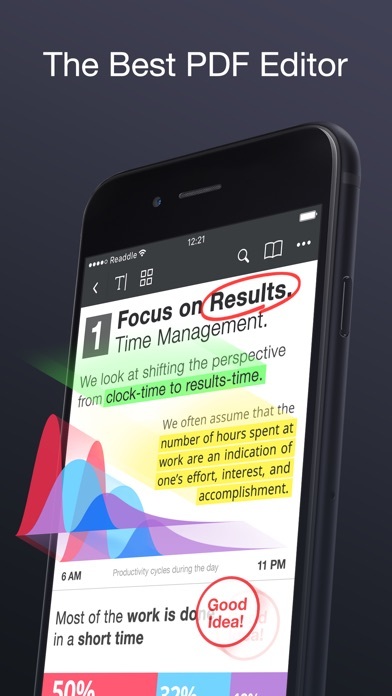 • Mark important information in books, journals or documents with the first class annotation tools: highlight, underline, strikethrough and others. • Insert predesigned stamps such as Approved, Not Approved, Confidential and more. • Create diagrams and schemes using shapes such as arrows, circles or rectangles. 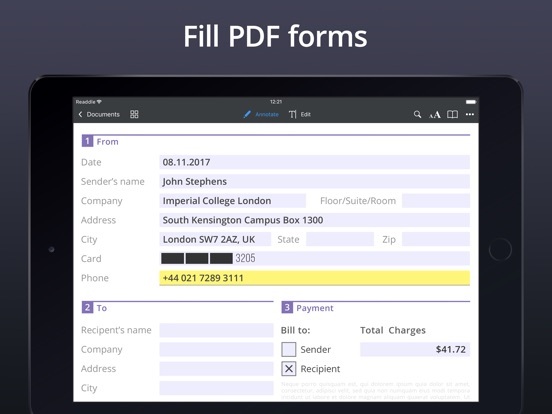 • Work with static PDF forms created in Adobe Acrobat. • Fill out any PDF forms with interactive fields such as text fields, checkboxes and radio buttons. 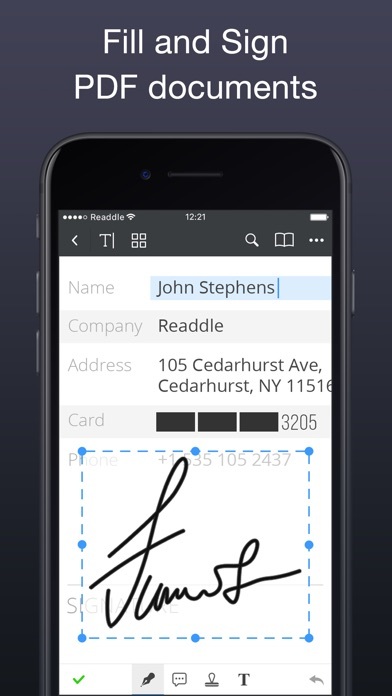 • Use e-signatures to sign contracts and agreements on the go. 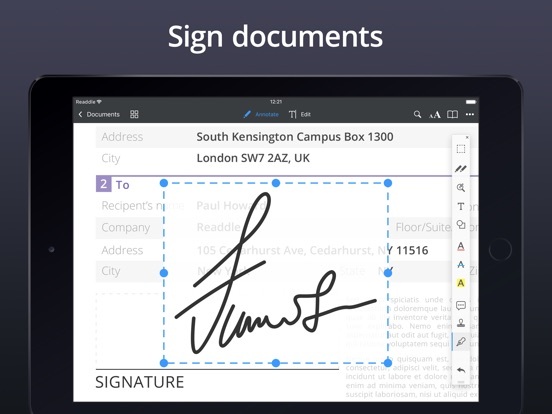 • Sign documents with signatures synchronized across all your devices: Mac, iPhone, iPad. 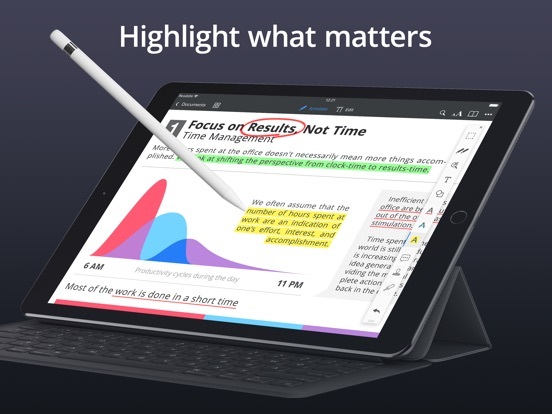 • Draw with your finger or Apple Pencil to make handwritten notes or highlight text in scanned books. 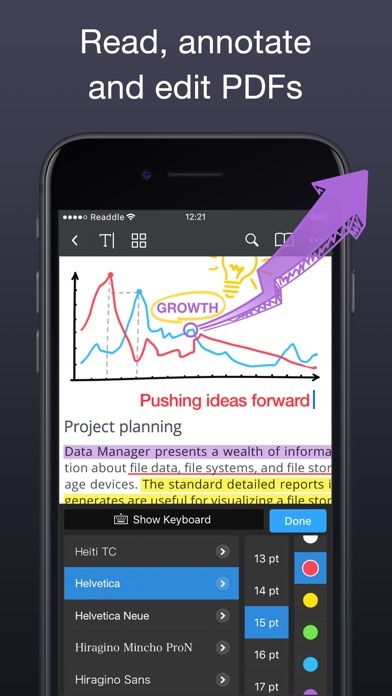 • Edit outlines in a few taps to structure your data and for better navigate through the file. • Restrict access to PDF Expert with a password. • Protect your files from unauthorized reading with a password. • Enable iOS Data Protection to encrypt everything while your iPad or iPhone is not in use. 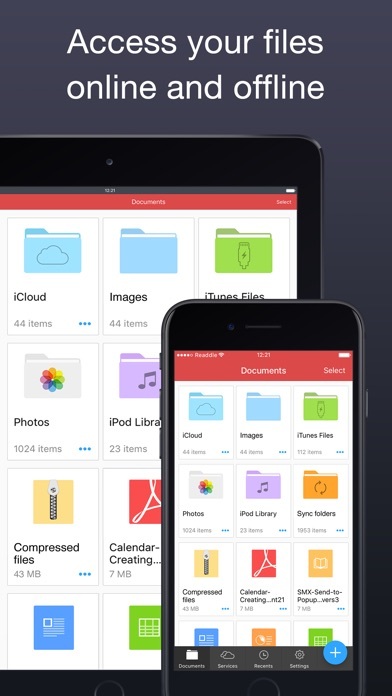 • Connect to other document storage providers like Dropbox, iCloud Drive, Box, OneDrive, Google Drive etc. Work with files right in the storage and all edits will be saved there without downloading the document. • Enable 2-way sync with storages to provide the continuous work with documents among all devices. • Add comments to the texts you read using sticky notes and drawing tools. • Make Bookmarks when it comes to intuitive navigation through PDF files. • Enable full text search, scroll, zoom in and out. • Use Text to Speech feature to hear the selected text read out loud. 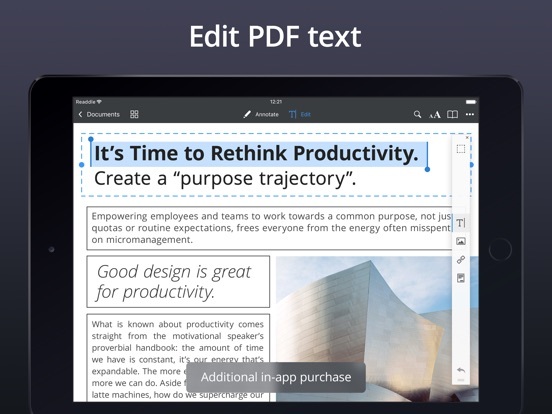 With additional in-app purchase you can have the unique superpower that allows you to edit PDFs. New features come as an additional in-app purchase for pros. • Edit or modify existing text. The font, size, and opacity of the original text are automatically detected, so you can make edits easily. • Easily add, replace and resize images in your PDFs. Or change a logo or a graph. 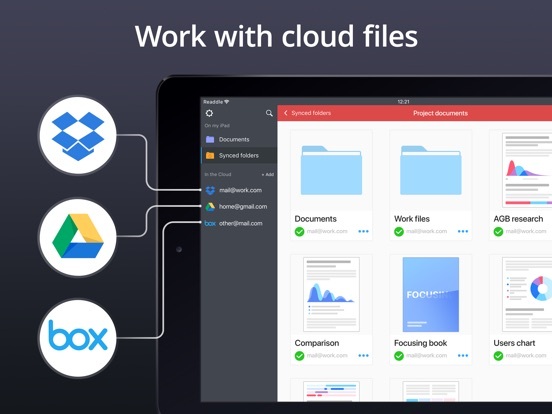 PDF Expert will handle those edits easily. • Now linking any part of the text to a different page or even a website is fast. Moreover, links can be added to the images. • Using the Redact feature you can permanently erase or hide any sensitive information in your PDFs. 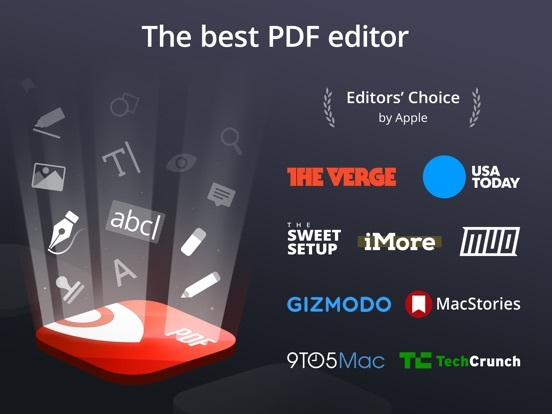 PDF Expert is also available in the Mac App Store. 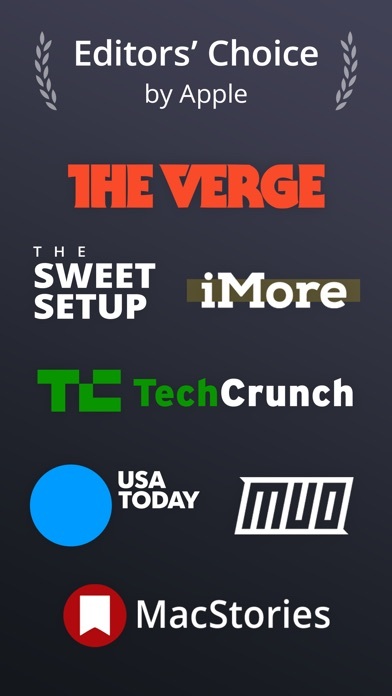 It has been voted “App of the Year Runner-up” by Apple. Much of the work in today’s update was focused on a deep dive into the internal stability and improvements. Exciting features are coming soon! Compatible with iPhone, iPad, iPod. Requires iOS 10.0 or newer.